All 29 episodes in one collection! Now you can enjoy all of the fun, adventure, and music from Paws & Tales’ first season. 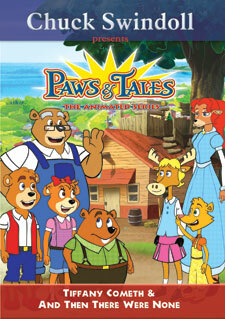 Paws & Tales has quickly become a favorite for kids of all ages. Memorable stories with meaningful lessons make each episode a timeless classic! Perfect for sharing with Sunday School classes, V.B.S., home school study groups, and church libraries… and of course your cubs and grand-cubs!